In June 2007, when conservative publisher Rupert Murdoch purchased the venerable Wall Street Journal, actor and philanthropist Paul Newman was upset. Wary of Murdoch’s reputation for buying up and sensationalizing news outlets, Newman sensed trouble ahead for American newspapers. Soon after, Newman called his local PBS member station, Connecticut Public Television. He had a positive relationship with CPTV: President Jerry Franklin says the station once received a donation check written on Newman’s personal account for $300,000. But this time, Newman had a programming idea — and with it, a stunning offer. Newman’s long interest in public media led to a special holiday gift to the system on Dec. 1. 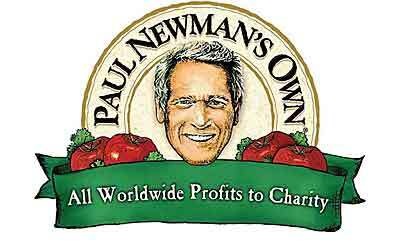 The Newman’s Own Foundation, fed by sales of the actor’s salad dressings and other foods, will distribute $2.2 million in membership challenge grants to nine public TV and radio stations plus the PBS Foundation. Each station will receive around $200,000, and $50,000 goes to the PBS Foundation. “These grants aim to help stations leverage the foundation’s dollars to raise even more funds to deliver excellent programs and information to their audiences,” Newman’s foundation said in a press release. In addition to CPTV, stations receiving money are: KCET in Los Angeles, which is departing PBS membership in January; KCTS in Seattle; Twin Cities Public Television, Minnesota; WAMC Northeast Radio in Albany, N.Y.; WETA in Arlington, Va.; WSHU Radio in Fairfield, Conn.; and WTTW in Chicago. The challenge grants will match funds donated by supporters to local pubcasting stations. Newman had specific ideas about CPTV producing an ongoing journalistic program — hour-long episodes, national carriage, high-profile guests, in-depth conversation. During their phone chat, Franklin explained to Newman that a high-quality weekly public affairs show was expensive to produce. Securing funding would take at least a year. PBS would have to agree to schedule it; the producers would have to encourage other stations to carry it. Franklin thought that was the end of Newman’s interest. Time passed. Franklin put together a budget and called Newman. The figure: $5 million a year. Franklin reiterated: He was just beginning to speak with public TV colleagues, PBS; he had to line up a host . . . . But about week later, in June 2008, came bad news. Press reports surfaced that Newman was being treated for lung cancer. By Sept. 26, 2008, he was gone. In September, Forrester asked Franklin to help identify stations to receive the $2.4 million in matching grants. The foundation wanted grants to go to stations that had deep roots in their communities, were very entrepreneurial and needed a way to bolster their financial stability. The two laid a big U.S. map across a table. “It was a challenge — there were probably 20 or 30 stations like that,” Franklin says. The decisions were made in one meeting. “We wanted to make sure the stations we were dealing with really needed this kind of challenge money,” Forrester says. “We also wanted to create visibility to encourage more philanthropy.” Other foundations might take note of grantees chosen by the respected Newman’s Own Foundation, and try something similar in their own communities. Franklin says he also suggested to Forrester that the PBS Foundation be included; Forrester agreed and pledged $50,000. Inspiration for the ad-supported channel came from local companies that were looking for digital marketing opportunities.